Since part of my day-to-day life is in the creative realm, I am a big fan of imaginative and clever fonts. I’m constantly pouring through font websites like dafont.com and fontsquirrel.com. Sometimes I even have to set myself a limit on the number of pages I’ll scroll through simply because I could look for hours on end (if I had that kind of time, that is!). You can create visual magic with the use of a well-placed, inventive font. With Valentine’s Day just around the corner, there are myriads of different fonts you could choose from for your Valentine’s cards, banners, cupcake toppers, and what-nots. But, look no further (unless you’re a fontaholic like me! 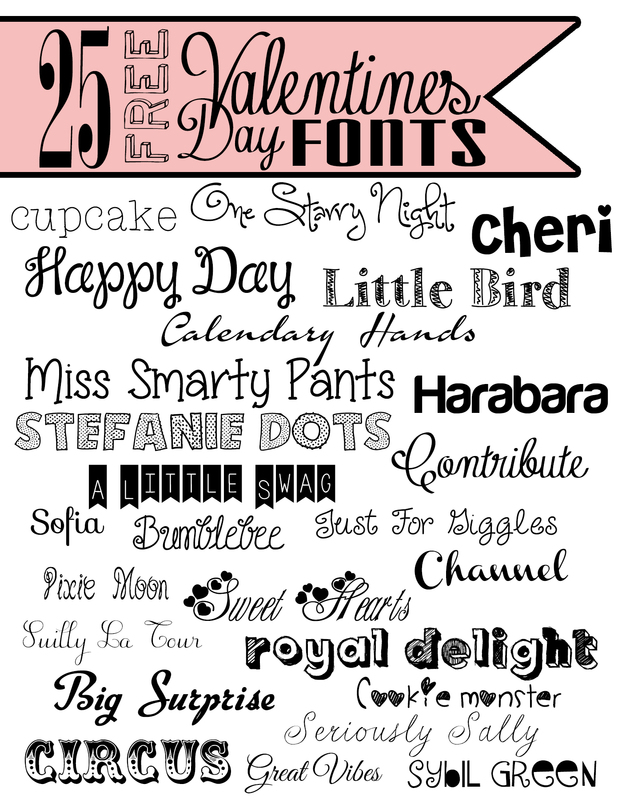 ), all the best of Valentine’s Day fonts are right here for the taking. Simply click on the links below and let the creativity begin!